Are you thinking about a new radio communication system? Buying a network is a major decision. As a buyer, you consider five things that can affect your everyday operations. Ask five questions and you may avoid problems later on. This guide gives you the five questions you should consider. 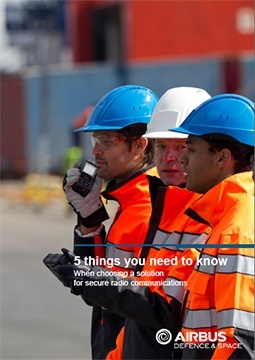 When choosing a solution for secure communications over radio, five important considerations can affect your everyday operations. This guide gives you the questions to ask.